SYSTEM, MULTIPRO CABLE, FOR EPSON TM SERIES, DRAWER 1; CD-EPSON1 Barcoding Store, powered by Strategic Mobiltiy Group, LLC (SMG3) offers globally recognized products and industry-leading solutions to enhance your organnization's productivity. Combining optimal search functionality and industry-leading products from Zebra, Honeywell, AML, etc., Barcoding Store creates a superior shopping experience unlike any other withing our industry. CODE, CORTEXDECODER FOR EPIC ROVER LICENSE (2 YEAR TERM), CDW ONLY Barcoding Store, powered by Strategic Mobiltiy Group, LLC (SMG3) offers globally recognized products and industry-leading solutions to enhance your organnization's productivity. Combining optimal search functionality and industry-leading products from Zebra, Honeywell, AML, etc., Barcoding Store creates a superior shopping experience unlike any other withing our industry. 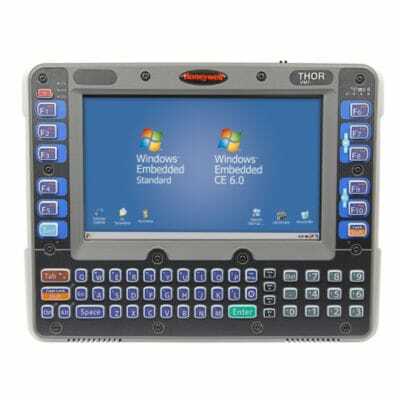 HONEYWELL, THOR, VEHICLE MOUNT COMPUTER, OUTDOOR DISPLAY, ANSI KEYBOARD, 802.11ABG, BLUETOOTH, GSM & CDMA FOR DATA, GPS, INT WLAN ANTENNA, CE6.0, RFTERM, US Barcoding Store, powered by Strategic Mobiltiy Group, LLC (SMG3) offers globally recognized products and industry-leading solutions to enhance your organnization's productivity. Combining optimal search functionality and industry-leading products from Zebra, Honeywell, AML, etc., Barcoding Store creates a superior shopping experience unlike any other withing our industry. 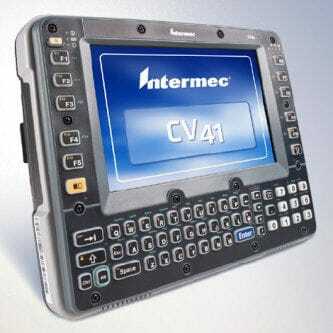 Intermec CV41 Fixed Mnt. Comp.